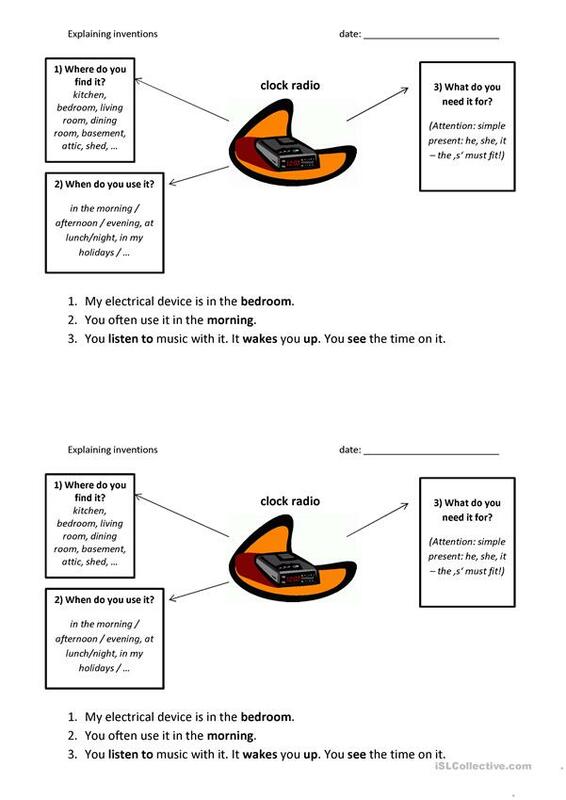 This worksheet helps pupls to write easy explanations about inventions. Afterwards you can play a game. The stundents read out their explanations and the others have to guess the invention. The present downloadable teaching material is best suited for high school students and elementary school students at Elementary (A1) and Pre-intermediate (A2) level. It was designed for honing your learners' Speaking and Writing skills.